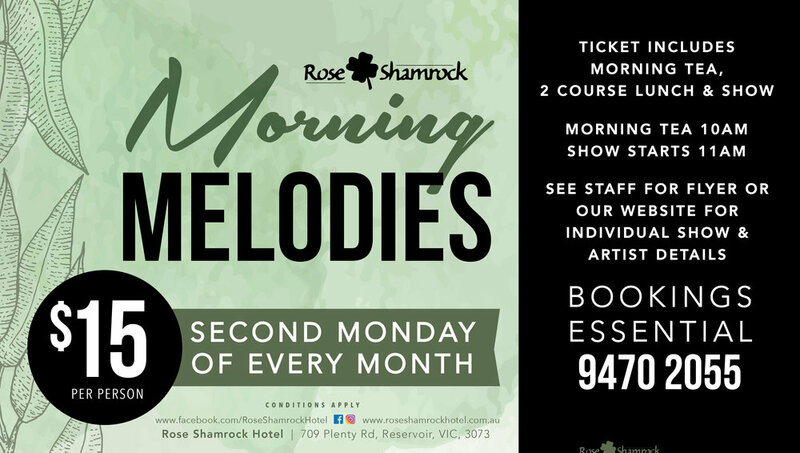 We are proud to now offer Monthly Morning Melodies here at the Rose Shamrock Hotel starting 13th May 2019. 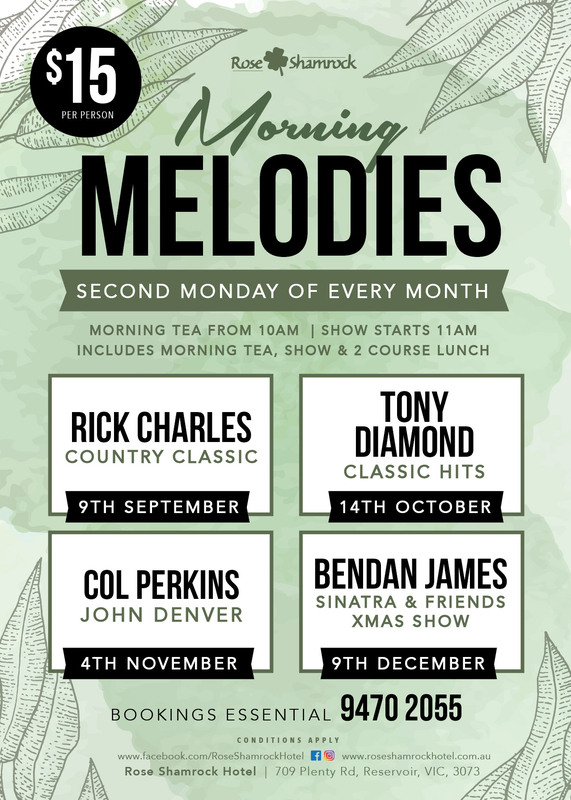 Join us every second Monday of each month for a fantastic morning of entertainment with morning tea, a show from 10am - 11am and a two course luncheon for only $15.00 per person. 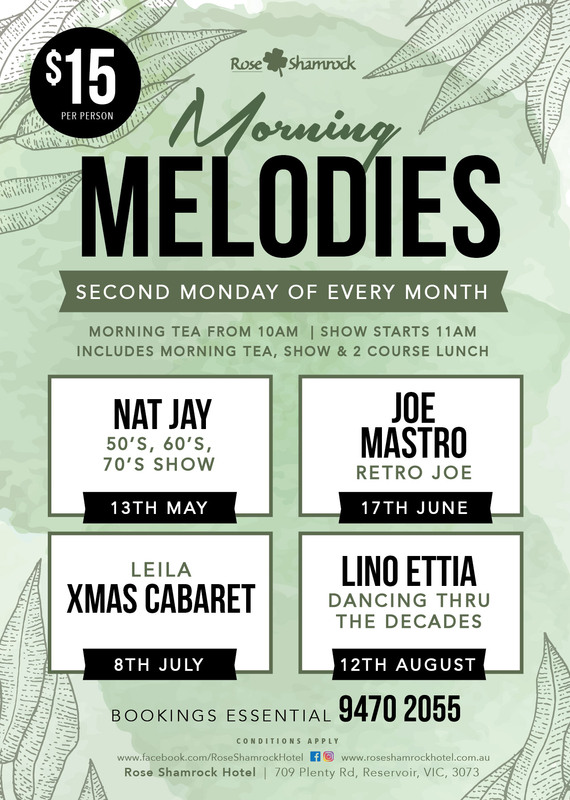 Ph 9470 2055 to book or speak to one of our friendly staff for more information.